Protect your frames and more with this flexible, strong, puncture-resistant polyethylene tape from Lineco. 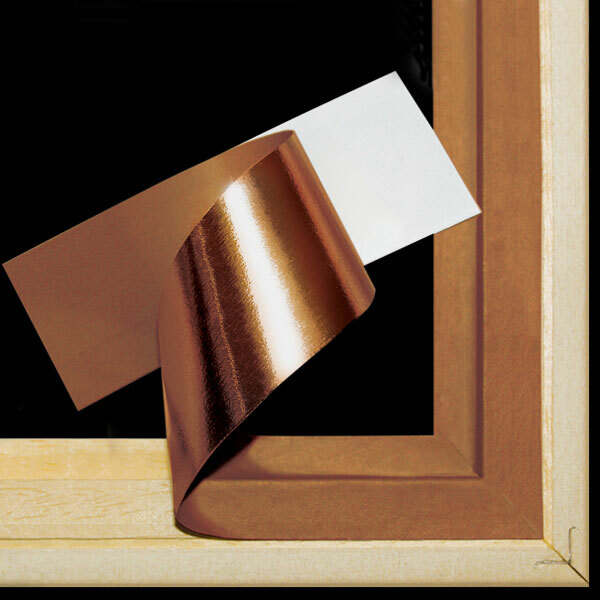 I-Film is imbedded with a copper matrix and coated with strong acrylic adhesive that is ideal for sealing raw wood fillets, rabbets, frame backs, and frame packages to protect them from acid migration, corrosive gasses, mildew, mold, ozone, and other contaminants. I-Film is part of Lineco's Corrosion Intercept line of products. It is not intended to be applied to artwork. ® Lineco is a registered trademark.™ I-Film is a trademark. ® Corrosion Intercept is a registered trademark.